QR Code (abbreviated from Quick Response Code) is the trademark for a type of matrix barcode (or two-dimensional code) first designed for the automotive industry. More recently, the system has become popular outside of the industry due to its fast readability and large storage capacity compared to standard UPC barcodes. Formerly confined to industrial uses, they have in recent years become common in consumer advertising and packaging, because the dissemination of smartphones "has put a barcode reader in everyone's pocket" for the first time. As a result, the QR code has become a focus of advertising strategy, since it provides quick and effortless access to the brand's website. Package Plus inc. offers to generate the QR Code for your website and print it on your marketing materials, including labels, posters, business cards, and more. 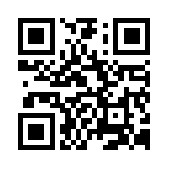 Please also note that QR Codes must have a large white border, it is actually part of the code.